Home Google Now Google Now Desktop Google Tricks How to Windows Tricks How to get Google Now on Desktop? 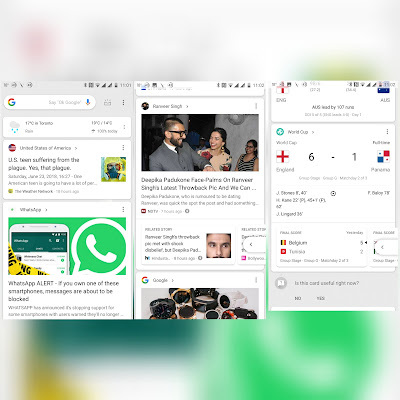 How to get Google Now on Desktop? Lots of people like checking Google Now notifications on their smartphones, reason could be anything from checking score of a match played by your favorite sports team, weather update, your shipments or commute update to go home from office. One of the things many people wish is accessing Google Now from their Windows desktop, which would be a lot more convenient than constantly looking at your smartphone especially when you are at work. Below are the things which are required for you to have Google Now on your Desktop. iOS or Android device to set Google Now up. Here are the simple steps to enable Google Now on your computer. Set up Google Now on your mobile device (this is required to set all your preferences). Download and install Google Chrome Browser. You will find a notification icon on your right hand notification center of Windows desktop. Click on it and you will see Google Now on Desktop. In the desktop mode its called Chrome Notifications.